The loveliest of mornings at the plot, well for me anyway. Warm sunshine and dew heavy grass with the merest hint of an earlier frost, bird song and clear blue sky. I pulled my grandmother’s garden chair out from under the potting bench, sat down and fell asleep while Derek cleaned the leaves from the greenhouse guttering and swept the deck. October and November are very much a time of transition. Some things are still thriving, the herbs and chillis, chard, kale, cavolo nero whilst others are dying back, waiting for relegation to the compost heap. Many of the beds around the site have also been turned and given a coating of manure to see them through the winter lending an unusual sense of orderliness. Just before leaving we harvested the remaining pears, Glou Morceau, some to be eaten just as they are and the rest to poached in Beaumes de Venise and served for tomorrow’s lunch. As an aside The Times Cryptic has this clue in today’s puzzle. Its good to see you’re still harvesting! Hi Rozzie. Thank you for reading the post. It’s not confiding I’m afraid. 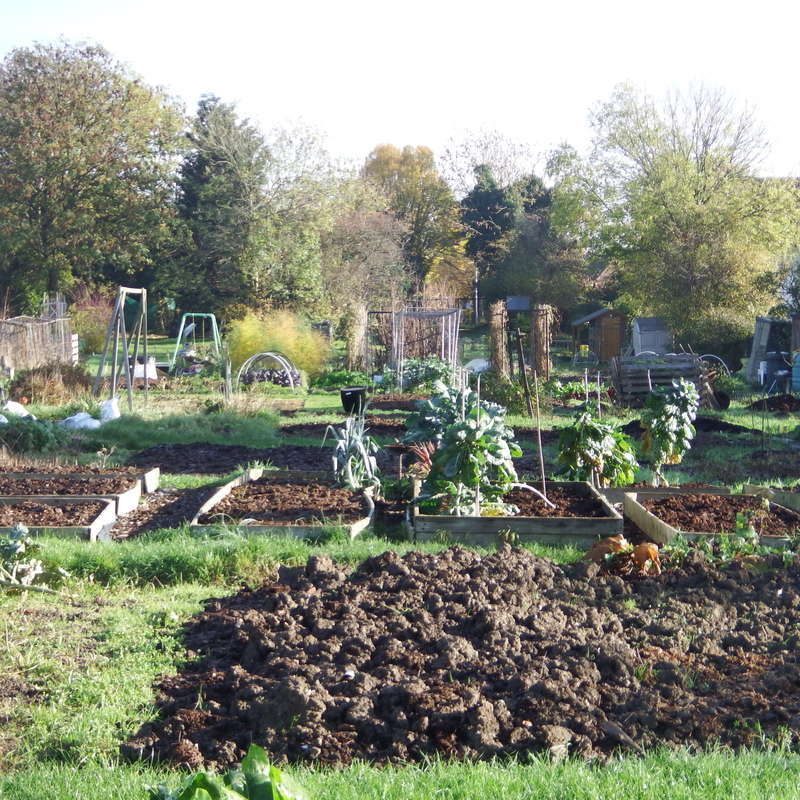 We’re pretty much at the end of things on our plot for this year, mostly now getting ready for Spring when it all starts again. Ah ha, another Times Crossword gardener! I think we have an advantage. Do you remember everyone getting stuck on Dahlia? If not visit this site where a team blog and parse the crossword every day (useful if you get stuck) and lots of people comment – http://times-xwd-times.livejournal.com/. Oh yes, and I got allotment of course. Shame I haven’t got a real one though. Hello Rosie. Yes, I enjoy the crossword enormously. I think I do remember Dahlia being featured but can’t remember the clue. Thank you for the website recommendation. If no allotment then you must have a garden at home?